As someone who has been engaged in efforts to end homelessness both at the program and community level, I understand how challenging it can be to combine intensive support services with permanent housing at the scale needed to end chronic homelessness locally. That’s why I’m so excited about our recent announcement of the states selected to participate in the intensive technical assistance effort to align Medicaid, behavioral health, and housing resources to scale supportive housing. This effort is premised on the recognition that, while there are significant opportunities for states to use Medicaid to cover the full range of services for people in supportive housing, the process of determining how to cover these housing-related services and to coordinate these services with housing can be extremely challenging. 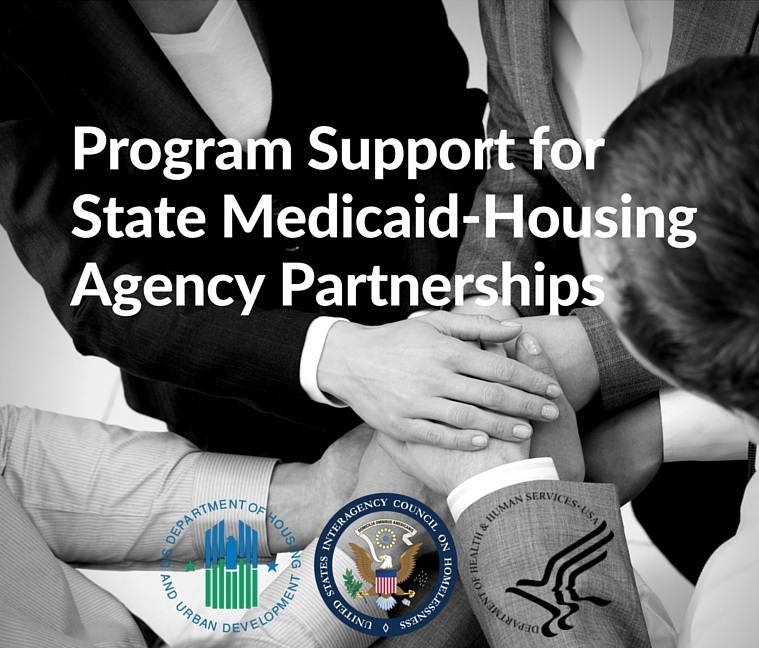 In 2015, USICH worked with HHS and HUD to coordinate federal technical assistance resources to launch the Medicaid-Housing Agency Partnerships technical assistance effort. This effort will provide intensive program support and action planning to the eight states selected – California, Connecticut, Hawaii, Illinois, Kentucky, New Jersey, Nevada, and Oregon – to help them bring to scale supportive housing by leveraging existing federal, state, and local housing resources and increasing Medicaid coverage of housing support services. The response to these technical assistance offerings was overwhelming. Twenty-eight states and the District of Columbia applied to receive the intensive program support, revealing significant interest in expanding supportive housing through increasing Medicaid coverage of housing-related services. Although the intensive program support can only accommodate the eight states selected, more general technical assistance will be available to a larger number of states – 31 to be exact – regarding how to incorporate and enhance tenancy supports into Medicaid services. This response emphasizes that supportive housing is not only a strategy to end chronic homelessness, but also to reach high-need, high-cost Medicaid beneficiaries and to meet states’ obligations under Olmstead to integrate people living with disabilities into community-based settings. The response also underscores that the work we’re doing to end chronic homelessness is directly related to other issues that states are working to address – serving high-need, high-cost Medicaid beneficiaries, reducing incarceration rates, increasing mental health care, addressing the addiction crisis, and supporting Olmstead implementation. In fact, we know that these individuals with complex care needs more than likely have experienced a number of these challenges simultaneously. Develop processes to ensure the quality and experience of providers who deliver benefits to the eligible population. We’re thrilled to get started, and even more excited to see the impact that this effort will have on the lives of the most vulnerable citizens in our communities.